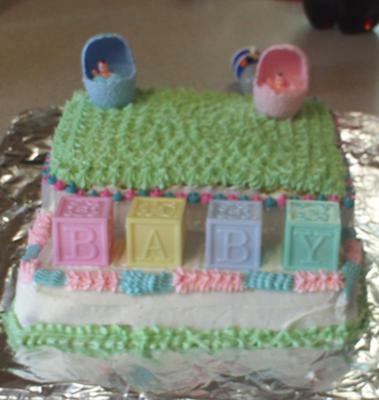 To make this baby block cake, I took two square cake pans and put icing in between each one. Then I stacked them on top of each other. Then I went and bought these little accessories to put on it.